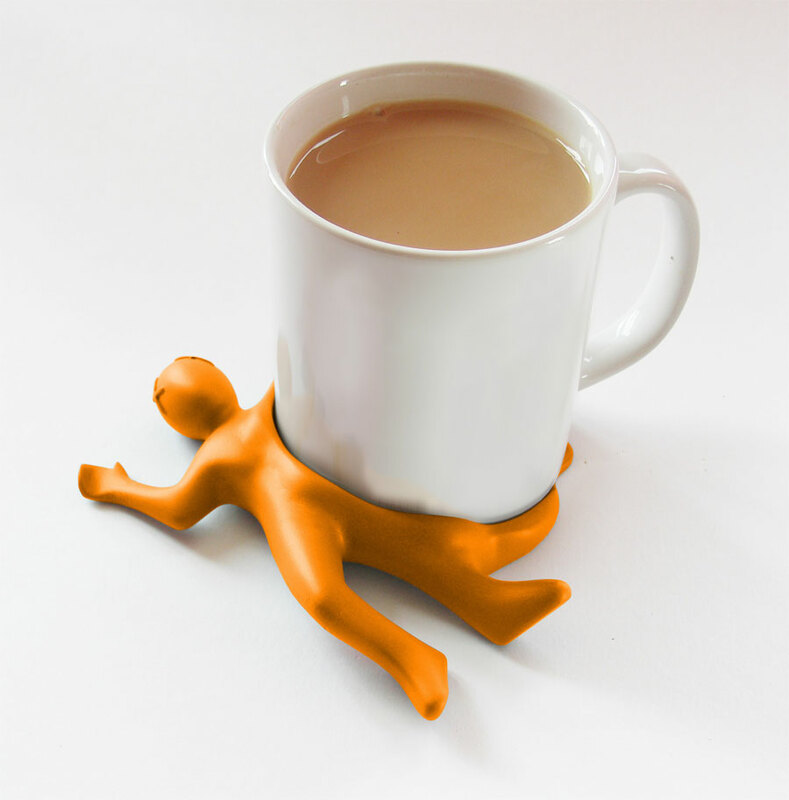 Splat Stan aka the splattered man drink coaster is an orange man that has been squished and splattered onto your desk to give you a nice flat area to rest your drink upon. 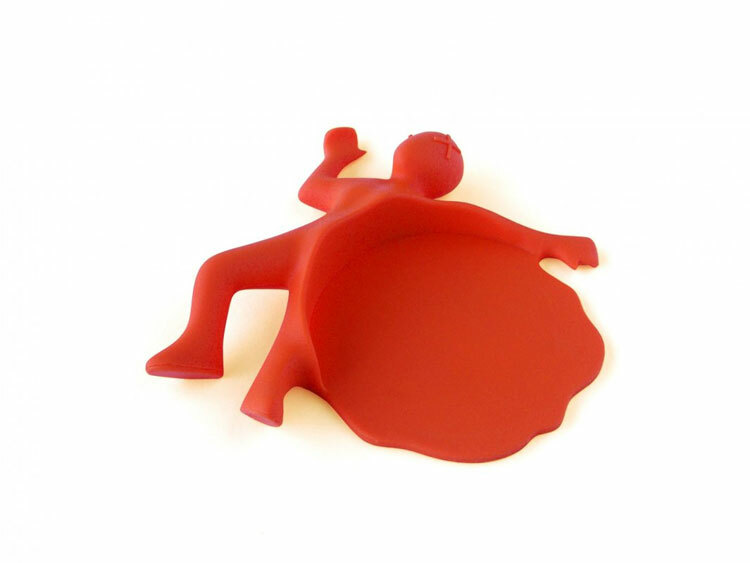 The splattered man drink coaster is great to release that anger at work by belittling Stan by setting your drink on top of his perished body, but also a great way to protect your table from water stains, coffee stains, and blood stains. 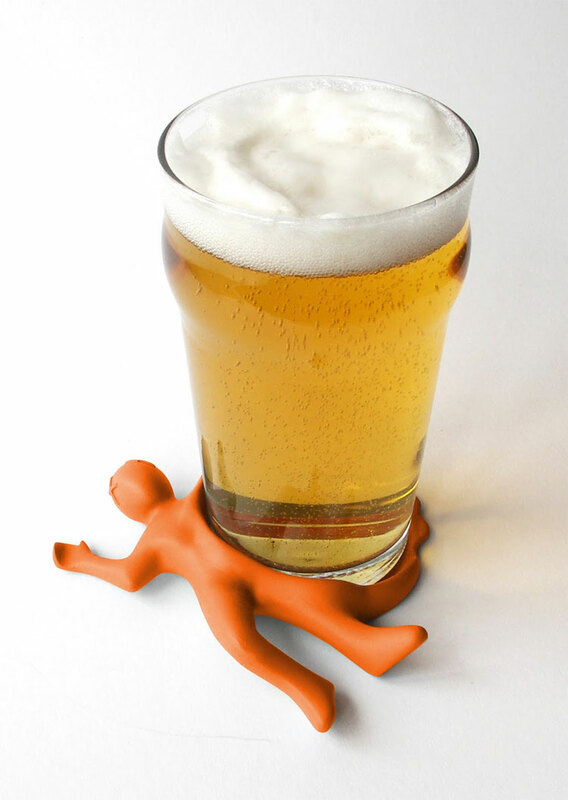 The splattered man drink coaster is made from silicone rubber, measures 4.5 inches x 5.1 inches x 0.8 inches, and comes in a plethora of different colors to choose from.